(1) John Fraser, my Argenteuil, Quebec, farmer from Inverness-shire, was a widower when he married spinster Margery McIntyre age twenty-two on 17 August 1808 at St. Gabriel Street Presbyterian Church in Montreal. John was described as “farmer of Rivière Rouge” and Margery was “of the same place.” John signed the register and Margery made her mark. The witnesses were Robert McNabb and William Cameron. Margery was therefore born about 1786. John Fraser arrived in Canada with his first wife after the birth of his second child James in Scotland ca.1804 and before his next child Elizabeth in 1806. Finding a family for Margery is the ongoing goal. (2) Catherine McIntyre was married to a John Cameron as per the 1851 census. Her age was then said to be seventy-five, making a birth year of ca.1777 (census taken mainly in January 1852: age at next birthday). Catherine is further identified as his wife in numerous baptismal entries for their children and in John's will. We don't know when he (or the couple?) 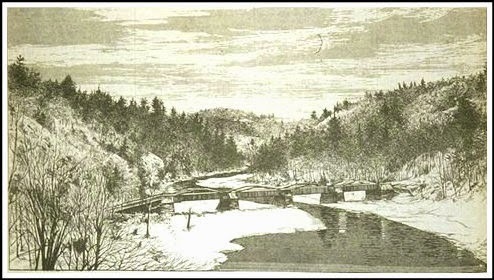 arrived in Canada, but he purchased his original property on the Rivière Rouge Road in 1802. I believe he died in 1853 but his actual burial place has not been found. John Cameron and John Fraser were witnessing for each other at some baptismal events. 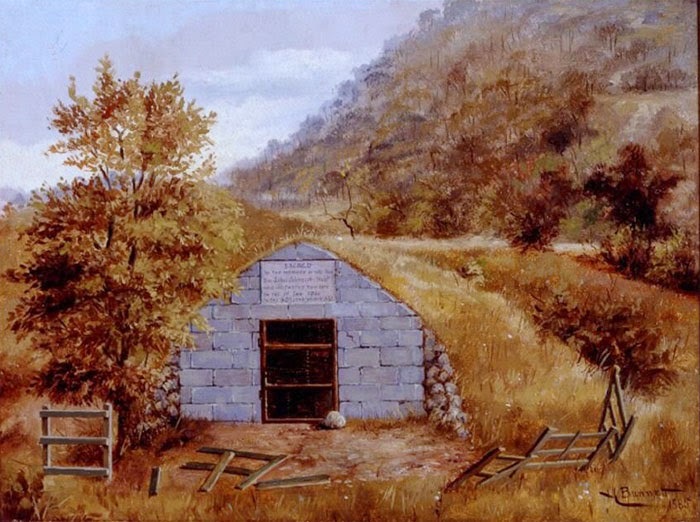 John Cameron was illiterate (“ ... the said Testator having persisted therein had made his mark having declared that he could not write his name ...”) as also evidenced in land and church records ― clearly distinguishing him from an older John Cameron ("l'âiné") whose homestead was at Cote du Midi very close by. We don't know the age difference between the two John Camerons or if or how they were related. (3) Walter Graham, gentleman of Montreal, married Jane McIntyre of the same place 26 September 1818; witnesses were Allan Cameron and Hugh McMillan. This is a third early McIntyre marriage ― is Jane possibly related to our Margery and also Catherine McIntyre? Despite Walter's residence in 1818, he was living at Cote du Midi in 1825 and apparently remained there. In 1842 he is among a cluster of Camerons and related families; Walter said he had been in the province for twenty-five years. An emigration date of about 1817 means he arrived in Quebec only shortly before his 1818 marriage. The couple were still living at Cote du Midi in 1851. Jane's age was shown as fifty. A birth year of ca.1800 in Scotland makes her approximately a generation younger than the other two McIntyre women. The census ages all may well be approximate; "rounding off" was suspected at times. Walter Graham is another name frequently appearing in conjunction with Fraser church witnessing. Is there another McIntyre in or near St. Andrews in the first decades of the nineteenth century? In other words, as potential family or relatives of Margery? In a survey of the few available early sources, the most likely name in the specific area is a James McIntire who witnessed a Robertson baptism in 1818 (some ten years after Margery's marriage). ▪ The (unnamed) widow of James McIntire in 1825 is a chef de famille located on west side Rivière Rouge, across the river from my Frasers. The minimal information required on this enumeration reveals a total of five people in the home. No other McIntyre appears in St. Andrews parish. ▪ Ann Mcintyre was a household head in 1842 in “part of Argenteuil”; she was in the “single female 45 and upwards” age category. The enumerator did not specify the "part" of Argenteuil but it appears to be St. Andrews. Ann's number of years living in Canada was not filled in. Her home also contained two single males between 21 and 30 and a single female aged 14-45. Of the total, two were natives of Canada, two of Scotland. She does not appear again in 1851. A female household head is often a widow but if so, it’s uncertain whether her surname is her husband’s or that of her birth family. If the three young members are her children and everyone was accurate with their information and recording, then likely the oldest of them was born in Scotland ― always a clue to the family's emigration date. Possibly even older children had left home by then. Perhaps Jane (McIntyre) Graham was one of them. Was James McIntire Ann's husband? Were James and Ann old enough to be Margery's parents? My sense is James would more likely have been her contemporary, possibly a brother. Could be, this is as close as I can get to potential kin although autosomal DNA results show my connection to a descendant of Catherine (McIntyre) Cameron. When I figure that one out, happy day. The difference in census citations indicates whether I was viewing them on microfilm or online. St. Gabriel Street Presbyterian Church (Montreal, Quebec), 1808 register, p. 47, Fraser-McIntyre marriage; Archives of Ontario (AO) microfilm MS 351 reel 1. Also, “Quebec Vital and Church Records (Drouin Collection), 1621-1967,” digital image, Ancestry.ca (www.ancestry.ca/ : accessed 19 April 2008) where he is indexed as John Francer. John Cameron household, 1851 Census Canada East, District 33, Deux Montagnes, enumeration district 11, parish of St. Andrews, sheet 21, stamped p. 41, line 28; Library and Archives Canada (LAC) microfilm C-1147. Cour supérieure, District judiciaire de Terrebonne, Répertoire du notaire Michel-Gaspard Thibaudière de LaRonde (1825-1882), (Saint-André Avellin, Québec), document no. 3211, 20 September 1836 and codicil 13 August 1840, will of John Cameron; Bibliothèque et Archives nationales du Quebec (BAnQ) at Montreal, CN606, S5. Terrebonne Actes notariés compiled by Marney MacDonald, email Brian Anderson to Brenda Merriman 10 October 2014; Répertoire du notaire Peter Lukin [Sr.] no. 2629, 12 November 1802, John Cameron, farmer residing at Argenteuil, bought lot 29 south side Rivière Rouge from Elon Lee; signed X his mark; Notary Peter Lukin [Sr.] no. 2625, 12 November 1802, John Cameron l’ainé [Senior] habitant living at Argenteuil bought lots 19 and 20 Cote du Midi from Seigneur Patrick Murray; signature included. Citing Actes notariés, BAnQ Montreal, microfilm M620.1214. "Quebec, Non-Catholic Parish Registers, 1763-1967," digital image, FamilySearch (www.familysearch.org : accessed 5 March 2012), burial John Cameron, 8 March 1853; citing St. Andrews Presbyterian Church (St-André Est, Quebec). “Quebec Vital and Church Records, 1621-1967 (Drouin Collection), digital image, Ancestry.ca (www.ancestry.ca : accessed 5 March 2012), baptism Allan Cameron, 30 October 1807, “parents don't write”; citing St. Gabriel Street Presbyterian Church (Montreal, Quebec). “Quebec Vital and Church Records (Drouin Collection) 1621-1967,” digital image, Ancestry.ca (www.ancestry.ca : accessed 28 May 2012), Graham-McIntyre marriage, 1818 register; citing St. Gabriel Street Church (Montreal). Jane's surname was misspelled as McTeer by the minister then corrected on her signature line. "Canada, Lower Canada Census 1825," digital image, FamilySearch (www.familysearch.org : accessed 21 February 2015), York County, Argenteuil, Cote du Midi, sheet 4, stamped p. 1277, 3rd line, Walter Graham; citing LAC microfilm C-718. Walter Graham, 1842 Census Lower Canada, County Deux-Montagnes, Argenteuil seigneurie, Cote du Midi, sheet 22, stamped p. 1225, line 6; LAC microfilm C-728. “1851 Census Canada East,” digital image, Ancestry.ca (www.ancestry.ca : accessed 12 August 2012), District 33, Deux-Montagnes, ED 11, parish of St. Andrews, sheet 2, stamped p. 3, line 1, Walter Graham; citing LAC microfilm C-1147. “Quebec, Non-Catholic Parish Registers, 1763-1967,” digital image, Family Search (www.familysearch.org : accessed 28 May 2012), baptism George Robertson, 23 August 1818; citing St. Andrews Presbyterian Church register (Saint-André-Est , Quebec). "Canada, Lower Canada Census 1825," digital image, FamilySearch (www.familysearch.org : accessed 21 February 2015), District York, Argenteuil ..., sheet 6, stamped p. 1279, 5th line, Widow James McIntire; citing LAC microfilm C-718. "Canada, Lower Canada Census 1842," digital image, FamilySearch (www.familysearch.org : accessed 21 February 2015), County Deux-Montagnes, Argenteuil seigneurie, sheet 15, stamped p. 1218, line 15, Ann Mcintire; LAC microfilm C-728. © 2015 Brenda Dougall Merriman. All rights reserved. In the things-we-rarely-do department: take a tour of a historic site in our own backyard. 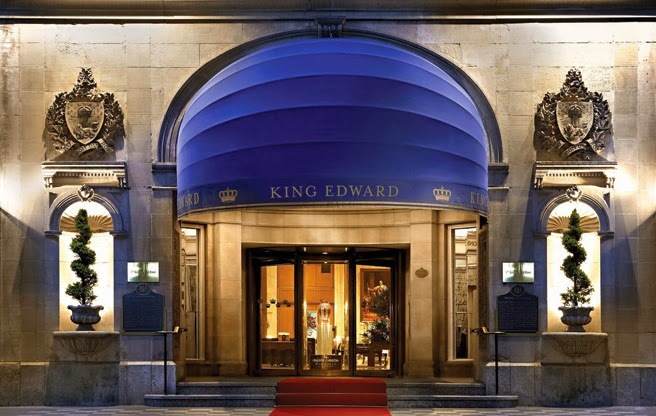 The King Edward Hotel in Toronto is a well-aged institution, Built in 1903, it was financed by George Gooderham of the local distillery fortune. The plan was to name it the Palace Hotel in honour of Queen Victoria whose death, alas, occurred before its completion so her son became the honouré. I only know that because my friend Bruce of Bruce Bell Tours was leading the group. Bruce has developed a uniquely entertaining flair as a story-teller, immersing himself in a love of Toronto architecture and its historical characters. No, sad to say I am not getting a kickback or a discount. 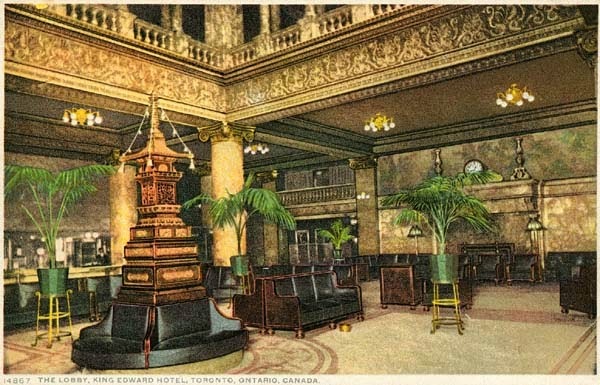 The King Edward was a landmark for turn-of-the-century times when travellers' hotels were decidedly pragmatic. As well as an elegant venue for travellers, the hotel also represented the height of fine dining and socializing for the local elite. The intention was to eclipse all other inns and hotels in the city, and it succeeded. Little expense was spared in the best of materials. Craftsmen and artists were employed to create opulent features. The main floor and mezzanine had the expected grand public rooms and dining rooms. Originally, of course, women did not enter the main foyer; there was a side door to their own reception area. If they were wives waiting for husbands to check in, or solo travellers, they could order tea in the women-only parlour upstairs. The Royal Suite has accommodated many royals including Queen Elizabeth and celebrities like Richard Burton and Liz Taylor in one of their kiss-and-make-up periods. Hemingway lived here in his early journalism days. Caruso, Valentino, Teddy Roosevelt, Mark Twain; Bruce bubbles over with such stories. The King Eddy has undergone numerous changes in over a hundred years, but sumptuous teas are a permanent fixture. Naturally, the hotel had to become modernized in many ways, for instance the change from gas lighting to electricity was one major update. Interior changes, restorations, or adaptations for modern functions have been at the discretion of a series of owners since. I learned new things. The arch above the Vanity Fair ballroom has a magnificent glass skylight once-commissioned to Tiffany that never saw the light of day, so to speak. Unresolved business negotiations kept it from being finished or displayed; what a sad case of obscurity! Outside on Colborne Street, back of the hotel, Bruce pointed out a glimpse of the skylight and its position. Our chattering collective awakened an interest in a brand-new resident of the condos into which much of the old addition have been transformed. He hailed us from a sixth floor window and much lively dialogue was exchanged. I was gobsmacked to hear that Gooderham planned an underground station to receive out-of-town arrivals. From the train station, prestigious guests would be able to continue on to the King Edward by carriage below ground. Presumably this would be to avoid mingling with the hoi-polloi on the street. The unfinished tunnel still lies beneath Scott Street to the west; access to it is blocked (but I suspect Bruce has wangled a way to see it). Although the hotel at first contained several ballrooms still in use today, the 1921 higher addition included the new Crystal Ballroom. 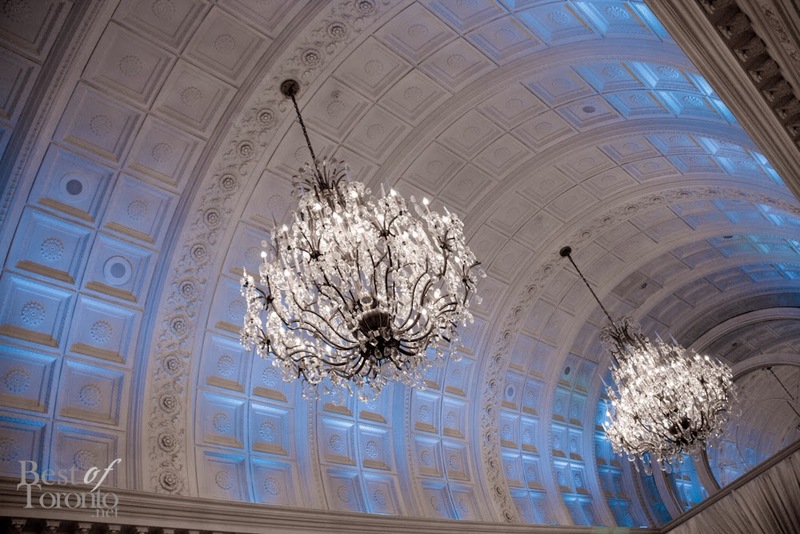 The lofty top venue, named for its massive crystal chandeliers, became renowned for parties of grandeur. Now empty and almost derelict, it nonetheless gives a superb view of my 'hood from three sides. I see my home! I see the homes of my friends and neighbours! ... Ahhhh. Thank you, Bruce. For history lovers, see the lovely blog I discovered: History of the KingEdward Hotel. © Brenda Dougall Merriman. All rights reserved. Last August, a longstanding, worthy project came to completion in the Eastern Townships (l'Estrie) of Quebec. Interested parties gathered to re-consecrate the last resting place of a Canadian hero, Sir John Johnson, Bt, UE. The Société de restauration du patrimoine Johnson had every right to feel proud of their accomplishment. Formed by members of the Sir John Johnson Centennial Branch of the United Empire Loyalists Association of Canada (UELAC) and Société d'histoire du Haut-Richelieu, with the cooperation of Quebec's Ministère de la Culture et des Communications (MCCQ) and archaeologists, the Société had restored the long derelict burial place. Sir John died in 1830; he and other family members were buried at Mount Johnson (now known as Mont Saint-Grégoire) near the rural residence he favoured in his last years. The location is east of Saint-Jean-sur-Richelieu. 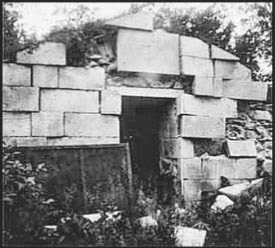 This 1940s photo taken by the 6th Baronet shows how the stone vault became forgotten and deteriorated as the Johnson property changed hands; nature and local farming took its course. Vandalism ensured that the inscribed stones were scattered. It seems bizarre, but the site was so rundown in the 1950s it was bulldozed into a pit in the belief that it was no more than a pile of old rubble. Years later it was difficult to identify the original site but bones were recovered among the stones, thanks to the dedicated persistence of the Société, a team of archaeologists, and many individuals. The nineteenth-century painting likely helped in the reconstruction process. Details of the restoration story can be seen on the Sir John Johnson Centennial Branch website. Lady Mary "Polly" Johnson nee Watts, wife of Sir John Johnson, died on August 7, 1815. Sir John's gravestone had been found earlier and is mounted at the Mississquoi Museum, Stanbridge East, Quebec. Researchers used newspaper notices among other records to estimate there were at least a half-dozen burials in the old vault. 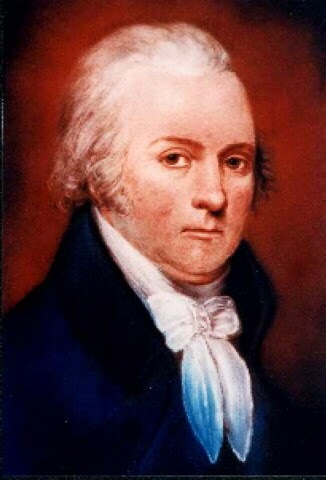 Briefly, John Johnson was born in 1741, son of Mohawk Valley entrepreneur and colonial Superintendent of Northern Indians William Johnson (later Sir William, 1st Baronet of New York) and Catherine Weissenberg. Sir John was knighted by King George III during an extended visit to the British Isles 1765-1767, then succeeded to the baronetcy on his father's death. He is best known as the Loyalist leader who, as the American Revolutionary War began, escaped to Quebec to form the King's Royal Regiment of New York in 1776. 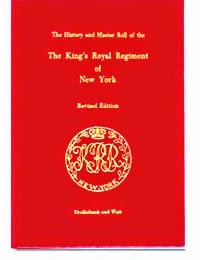 The KRRNY (aka Royal Yorkers) was the foremost Loyalist Corps in the Northern Command throughout the conflict. Sir John was also esteemed for his commitment to native allies as Inspector General of the Six Nations and later, as head of the Indian Department. Post-war, Sir John acquired extensive real estate in Lower and Upper Canada with several homes finer than that at Mount Johnson ― including his Montreal residence and manor homes at St. Andrews, Quebec, and Williamstown, Ontario (the former burned; the latter is preserved as a museum). Much more detail is in the Dictionary of Canadian Biography. In a solemn service the excavated remains were carried in two funeral urns to their restored resting place accompanied by members of the recreated King's Royal Yorkers among other dignitaries. It's unfortunate that media coverage of the event is hard to come by; see the Sir John Johnson Centennial Branch Fall 2014 Newsletter for photographs and more of the re-consecration. An important figure in eighteenth-century Canadian history gets some overdue respect.